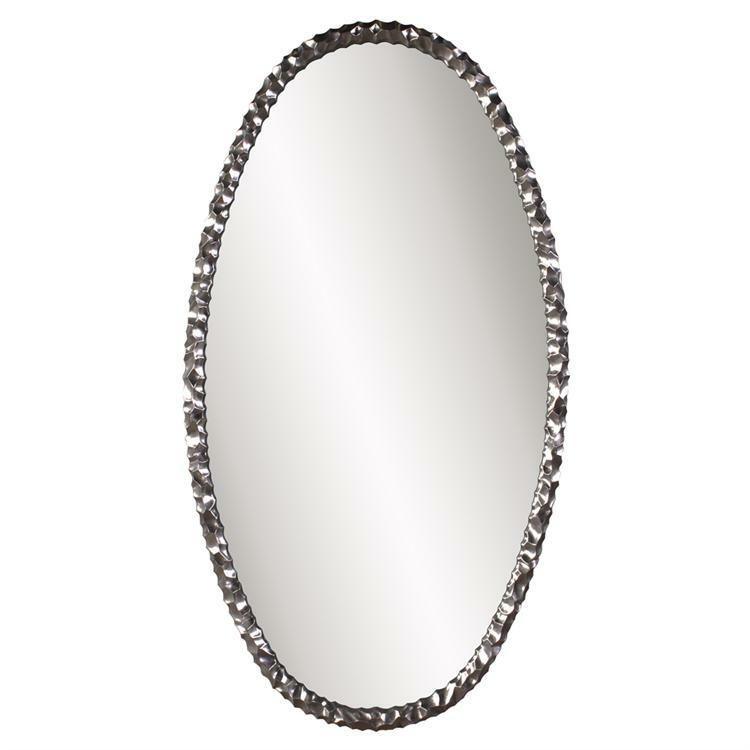 The Mesa Mirror is a striking piece featuring an oval frame characterized by a wrinkled ripple texture. The texture and movement of the piece is exaggerated by its bright nickel plating applied with an electrostatic technique. It is a perfect focal point for any design. The mirrored glass on this piece is NOT beveled. Also available in a round shape. Customizable for larger orders.